Aside from its talented writers and actors, Breaking Bad has received praise and recognition for the accuracy of its science and its depiction of the reality of the drug trade. The show is so accurate that it could be considered educational—just as long as you don't, you know, try your hand at building your own meth-empire. Here are some examples of when Breaking Bad really paid attention to the details. 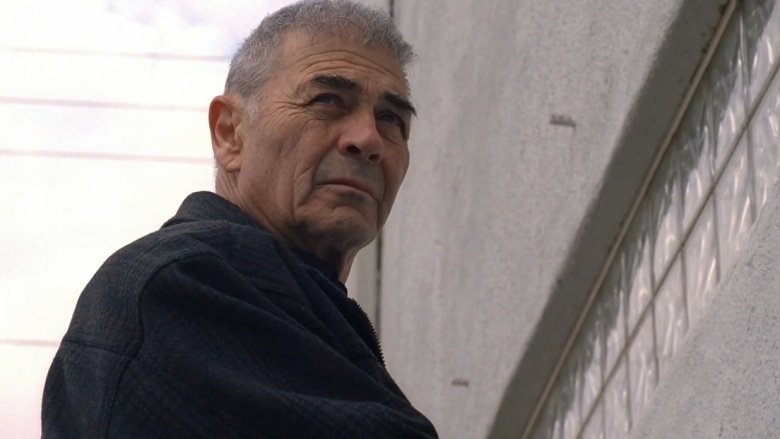 The super lab Gus provides to Jesse and Walter, first shown in the season three episode "Mas," may seem too fantastic to be based on anything real, but that's not true. They do exist. 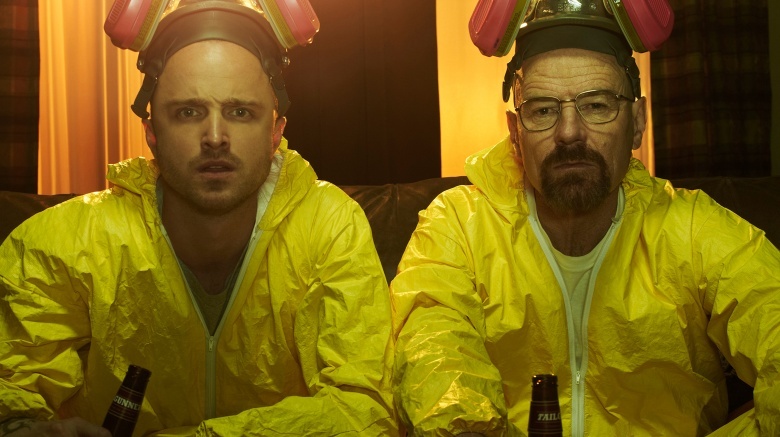 In fact, most of the meth labs on the show were made under the advice of DEA agents who worked on the show, according to an article in Scientific American. They may not be exact replicas of any particular meth labs, but they're as authentic as it gets. It's just that not too many of them are in the United States. According to an article in the Washington Post, the United States keeps a close eye and tight control on the importation of all materials that can be used to make meth. Despite this, one was seized by the DEA in Georgia in 2005, which was their first, according to their website. But in Mexico, it's a different story. 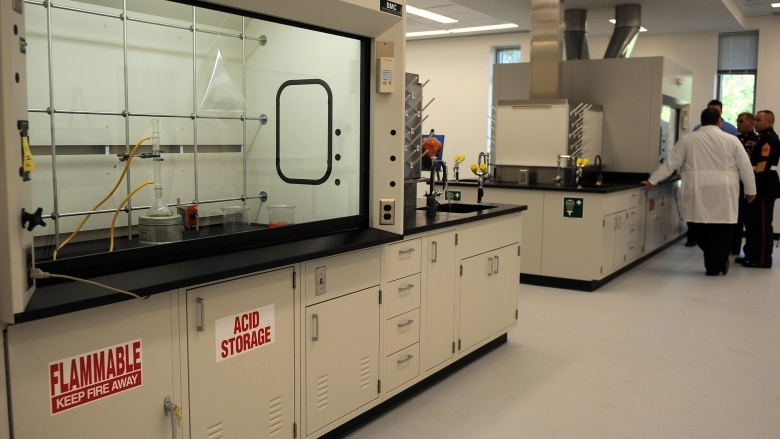 According to an article in The Daily Mail, about 200 of these super labs were seized by the Mexican government in 2012, which was 10 times what they seized in 2008. It's pretty gruesome when Walt and Jesse have to dissolve bodies in acid, but it actually happens quite a lot, according to Patrick Radden Keefe, who has covered the cartels for The New Yorker. In fact, Keefe says that it's so common that the cartels have a word for it, "guiso," which means "stew." In 2009, CNN reported that one of these cartel "stewmakers," as they are called, confessed to disposing of approximately 300 bodies this way, and that's just one person by himself. So while Breaking Bad shows this method of body disposal in several episodes, know that it occurs in many, many more instances in real life. 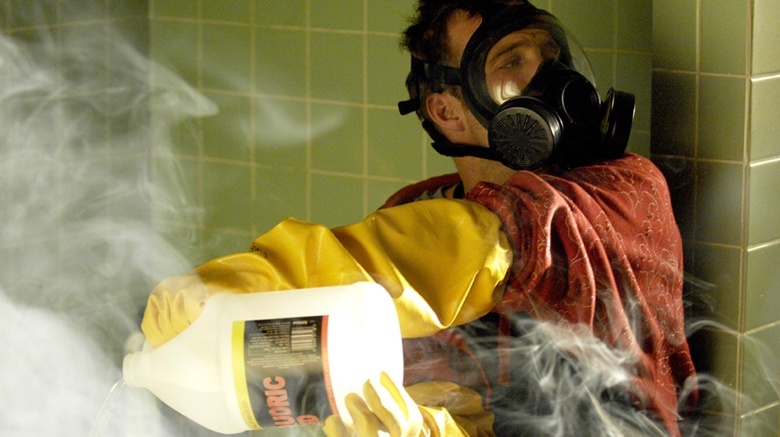 While we're on the topic of bodies dissolving in acid, we may as well discuss the infamous scene from the season one episode "Cat's In the Bag…", in which Jesse dissolves a body and winds up destroying his bathtub in the process. There seems to be some debate on whether or not this scene is totally accurate. Hydrofluoric acid is powerful because of its chemistry. It's able to dissolve glass, which is why it gets stored in plastic containers, and why Walt tells Jesse to get plastic tubs to dissolve Emilio's body. Jesse doesn't do this, using his tub instead, which the acid eats through. However, in a special episode of Mythbusters dedicated to Breaking Bad, the hosts were unable to recreate this moment entirely when using the chemicals mentioned in the episode. While the body of a pig, used as a stand in for a person, did dissolve, the tub they used remained fairly intact. This is an instance where the producers of Breaking Bad take a bit of creative license. According to the Washington Post, in the real world, many drugs, including meth, get "stepped on," which means the product gets diluted to increase profits, like when baking powder or flour gets mixed in with cocaine to stretch out the product. As the cartels are businesses, they care more about the profits than they do the quality of their products, just like any other corporation. So the more they can dilute it, the more they can sell, which means more money for them. Of course, this is debated, as cartels can probably charge more for purer meth, like how ExxonMobil charges more for purer gasoline. However, the small home-grown meth distributors do care about purity. A certain amount of prestige comes with it. Essentially, they make artisanal meth for the hipster addict. And that explains Walt's hat. Whenever we see a person who has heaps and heaps of money, the first thing we wonder is where he or she got that money. Drug dealers are aware of this fact too, which is why they launder it, using a legitimate business to hide the source of their money. According to the Washington Post, Small-time dealers, like Badger and Skinny Pete, usually don't worry about this because they don't make enough money to draw a lot of attention or make laundering worth their while. 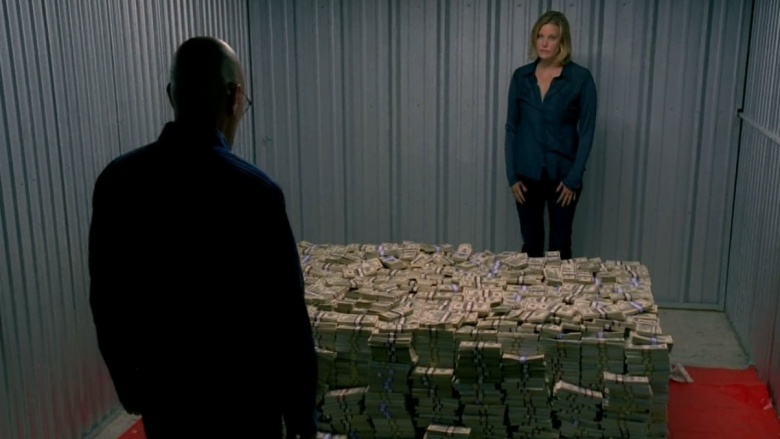 But when dealers or cartels make an insane amount of money, it very much becomes a necessity, as it does for Walt beginning with season 4's "Cornered,". Big-time dealers and cartels tend to use businesses that deal with a lot of cash, like car washes, restaurants, bars, and casinos. However, they are also beginning to use wire transfer services like Western Union and Moneygram, and they are even starting to use textile and heavy equipment trades as well. Whenever Walt and Jesse have a problem, they remember the motto, "better call Saul," and enlist the aid of Saul Goodman to get them out of hot water—or prevent hot water from boiling over. For instance, it's Saul's idea for Walt and Jesse to find a way to launder their drug money. As loveable as Saul may be, that's a shady move, and shady lawyers are known to launder drug money in real life. In March 2015, a St. Paul-based lawyer and his brother were found guilty of laundering drug money, using his own firm to do so. And in 2014, a Maine defense attorney was found guilty of laundering $177,500 of drug money. While these are recent instances, they certainly aren't the first. And just keep in mind, these are the lawyers who got caught. There are probably many more out there that have handled Walter White-amounts of money who haven't gotten pinched just yet. One of the aces Walt and company had up their sleeve is Mike, the ex-cop who helps Gus and then Walt run their operations. Mike is not a creation of pure fiction—there are real "Mikes" out there. According to the Daily News, in 2011, an ex-NYPD officer was charged with supplying drug dealers with NYPD gear so they could raid a rival dealer's home. Not only that, the officer even allegedly helped them make the raid. In 2001, an ex-Chicago PD officer was tried for a number of crimes, like fixing drug cases, shaking down dealers, and supplying weapons to gangs. So while there may not be an exact person on whom Mike is based, there are plenty of former officers out there like Mike to say that he is very much real. When things get too dangerous for Walt or Saul to handle, they call on Ed, an extractor and vacuum repair man, to get them out and give them new identities. This isn't too far-fetched of an idea. People do exist who perform this rather lucrative service. In the illegal immigration trade, they're known as "coyotes." On a good day, they're reported to move as many as 500 people. So the idea of one man moving two people sounds very doable. And as for the new identities, in 2012, according to Hawaii News Now, a man living under the name Jim Sargent was discovered to be an actual escaped fugitive. In his previous life, he had been arrested by the DEA for attempting to buy a rather large amount of cocaine. But unlike Walter White, this guy was caught and was sentenced to 15 years in prison. However, he escaped and fled to Hawaii, where he lived under an assumed name from 1990 until his recapture in 2012. During that time, he lived as a high-profile member of his community, and no one was the wiser. So what we're saying is, keep an extra-close eye on anyone new who moves into your area. In addition to accurately dramatizing the meth trade, the producers of Breaking Bad put a lot of attention to detail into the science used in the show. 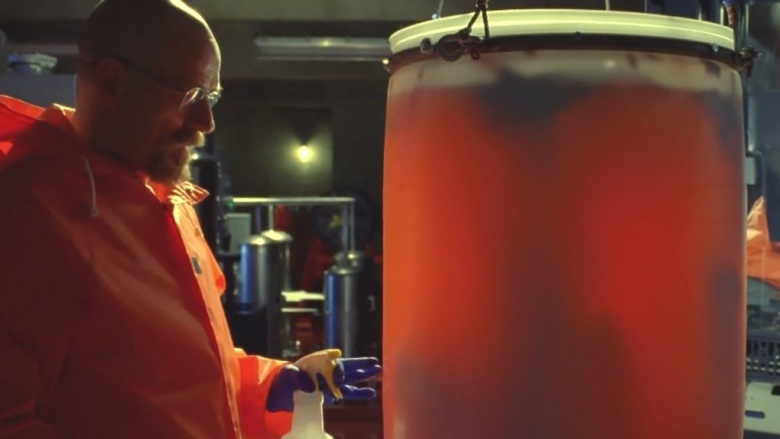 For instance, when Walt and Jesse steal the huge barrel of methylamine in season one's "A No-Rough-Stuff Type Deal," Walt has to burn out a lock so that they can get in the warehouse. According to BBC News, the science here is spot-on. When a metal oxide, like the iron oxide Walt uses, is mixed with a reactive metal powder, like the aluminum in the scene, the mixture creates a chemical reaction with an extremely high temperature—one hot enough to weld train tracks together. So burning through a measly door lock is very possible. 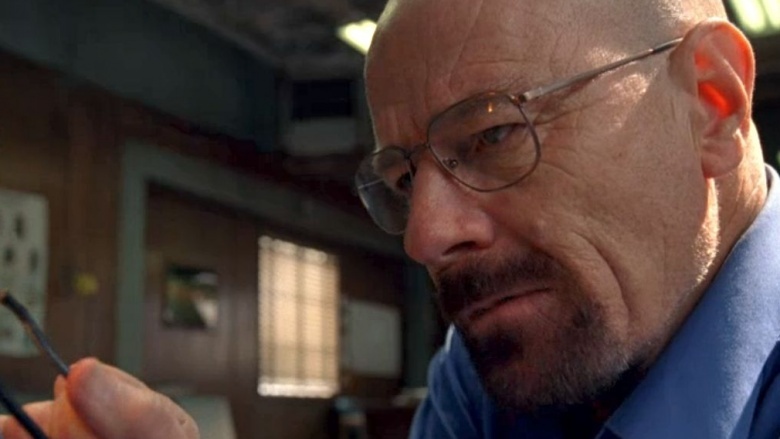 When he begins to do business with Tuco in "Crazy Handful of Nothin'," Walt brings a little fulminate mercury for protection, or what fans tend to think of more simply as "exploding crystals." They're something a high school chemistry teacher can make with ease, according to BBC News. Still, these crystals are very unstable and can only be made in small sizes. The ones Walt brings with him are pretty large, and having them all together in that sack in which he carries them isn't too safe. However, there's some debate on this. In the Breaking Bad-themed Mythbusters special, the hosts needed five times what Walt brought with him to recreate the explosion that destroys Tuco's office. For this one, the producers of Breaking Bad went for authenticity, but erred on the side of caution for accuracy. In an interview with NPR, Donna Nelson, a professor at the University of Oklahoma and one of the advisors on the show, explained how creator Vince Gilligan and his team were very careful to omit some of the steps in making meth. They didn't want the show to become an unintentional DIY on meth cookery. 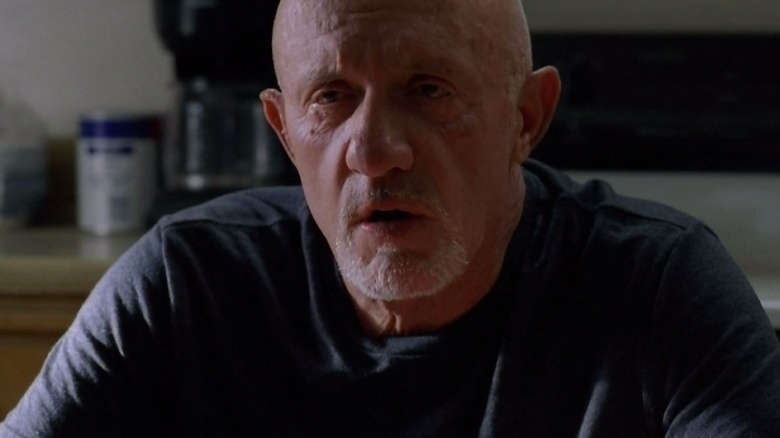 In the interview, Nelson says that multiple methods for making meth exist, and what the producers of Breaking Bad did was take those different steps and cobble them together into a hodge-podge process. So while the individual steps shown follow the accurate science of making the drug, the overall process of the steps put together is not accurate. 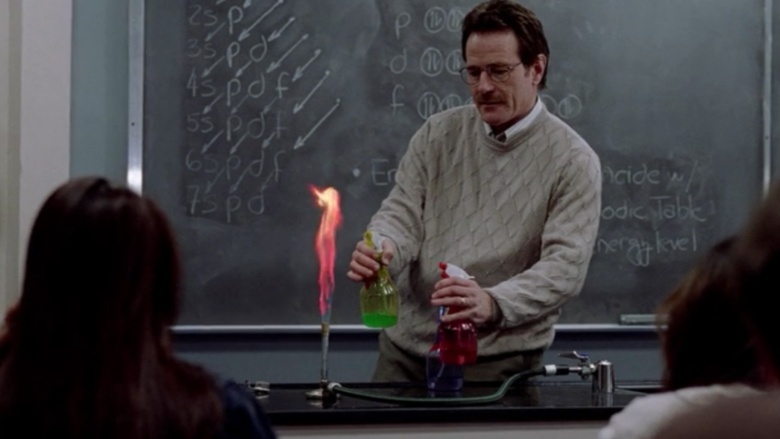 Hence, anyone trying to recreate Walt's process at home won't get meth, but they will get a lot of disappointment. And no one will have to remember their name. Two of the most compelling things about Breaking Bad are how Walt is able to keep his life as Heisenberg a secret from his DEA-agent brother-in-law, Hank, and how Walt becomes such a dangerous man. As for Hank not knowing, many people lead double lives all the time without their families learning about it, at least not right away. A story covered by Vice details how a real-life Walter White—yes, that's actually his name—cooked meth in Alabama from 1988 until the late 2000s, and claimed to make the best meth ever. 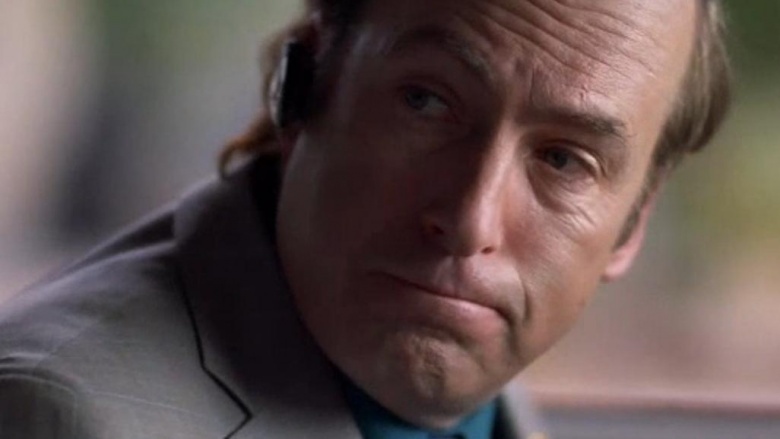 (He even had his own Saul Goodman.) White's son, who worked with him in construction, said that he didn't figure out his father was leading a double life until he was in his late teens. One of the things that really stands out about Breaking Bad is how such a mild-mannered person like Walter White can become such a violent lunatic. Well, that's very much possible. 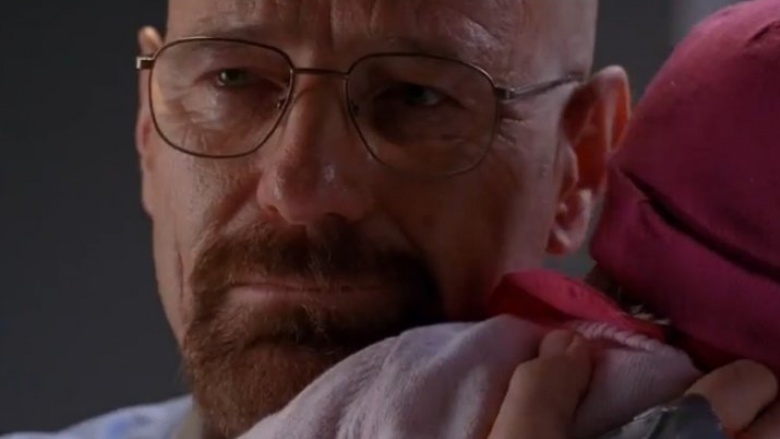 In the beginning of the series, Walt is diagnosed with cancer and undergoes chemotherapy. According to Cancercare.org, chemo can alter a person's personality. Chemo has been known to make people sad, anxious, angry and even aggressive, and Walt definitely displays the final two. 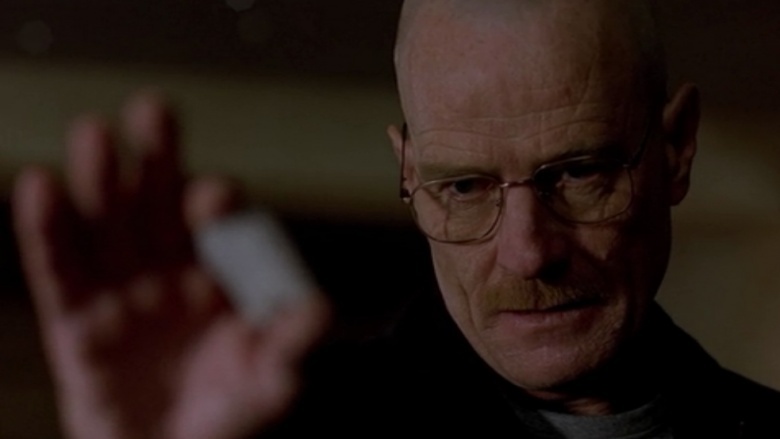 So really Walt acting the way he does, at least in the beginning, could just be a side-effect of his cancer treatment. Plus, just the idea of learning you have a terminal disease can greatly change your personality. In this way, Walter's story arc is all-too real.